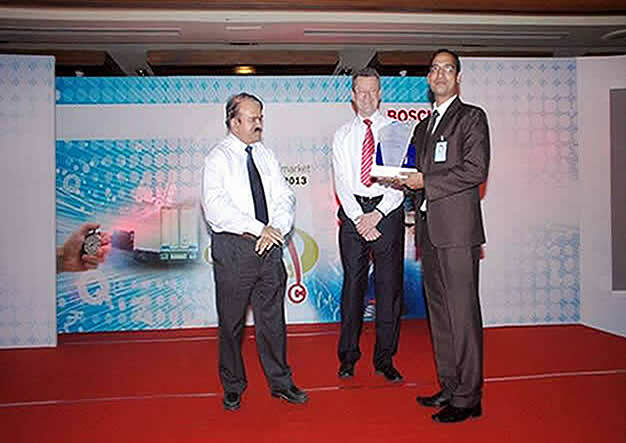 JLC Electromet won the Automotive Aftermarket Supplier Award 2013 from Bosch Limited for Excellency in quality and delivery for the year of 2012. JLC Electromet won the Automotive Aftermarket Supplier Award 2013 from Bosch Limited. JLC received this prestigious award from Bosch Limited for Excellency achieved in quality and delivery for the year of 2012 in supplies to Bosch Limited. The award was was presented in the 2nd BOSCH After Market supplier meet held on 25th March 2013 in Bangalore, India. JLC has been winning accolades and acknowledgements from its various customers over the years for excellence in product quality, timely delivery, product development and dealings, and this is another feather in their crown.